As you may already know, I commute. When I am annoyed because I´m tired or because Deutsche Bahn fails me (really, even in Germany trains are late or no shows), I try to remember that this commuting time is actually “me” time. I use it to write and to read. I usually have plenty of time to dive into several novels in one week. Divergent, Catching Jordan, The Statistical Probability of Love at First Sight, The Hunger Games Trilogy (I am totally late on that one :-)) and Cinder I have already read Divergent, Catching Jordan and The Statistical Probability of Love at First Sight and loved all of them 🙂 Great reading month so far! 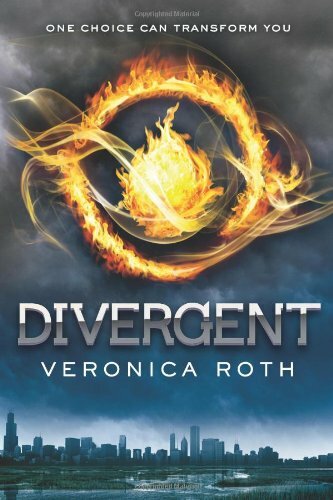 I reviewed Catching Jordan and Divergent in this post. I’ve read the first 5 books in the Sweep Series by Cate Teirnan I’m reading the 6th atm. There are 15 books in total. I’ve read them before but they’re an old favourite. Every single book on that list is either a book I loved or I really want to read. Well, OK, I’ve never heard of Le Testament D´Olympe (though it sounds good) and don’t know much about Catching Jordan, except it pops up on Amazon a lot. You have a month of good reading! Thanks Kat 🙂 Catching Jordan was really great! Wow! great book choice. I read the three by Suzanne Collins. in 5 days. Because once I finished the first one, I couldn’t wait. Had to get the next. Really awesome. I’ve seen Catching Jordan popping up all over the place as well and cinder too. Thanks Cecilia 🙂 I am already in love with The Hunger Games and I´m not yet done with the first one…Catching Jordan was really great! I’m reading Silence by Becca Fitzpatrick and Delirium by Lauren Oliver right now. After these two I have a huge pile of books waiting for me to choose from. Wow Cinder sounds brilliant! Not my usual style of book, but the fact that it is a really strange twist on a fairy tale has made me add this to my wish list. Le Testament D´Olympe sounds really interesting too – may have to add that one to my list. I said I was not going to buy any other books until I had read through my big pile. That may have gone out the window. Oops. I want to read Cinder so badly! Just haven’t found the time, yet. I’m currently reading Family Magic for Author Patti Larsen to do a review for her. Great stuff!! Looking forward to your review on Family Magic! When you said you were reading The Hunger Games the other day, I thought you meant re-reading it 😉 Sounds like you have a great book month planned! I’m reading Ally Condie’s Crossed right now, and I have The Unbecoming of Mara Dyer and and Chime on my TBR list this month. Sounds like you have a good reading month ahead of you too…Happy reading! Thanks Vee 🙂 I do try to remember myself quite often that cursing is not lady like when it comes to late trains lol and diving into a book or my writing is usually a great remedy! I’ve read THE HUNGER GAMES, and plan to read the others in the trilogy this year. And I could go on and on about how totally cool it is that you can read books that haven’t been published in English yet. I love languages, but I’m not really fluent in any but English (not to speak, anyway–I can read Koine Greek fairly competently). That’s something I hope I have the time to remedy. I hope you have a great reading month! I really enjoy Ken Follett too, I actually bought Fall of Giants but did not read it yet 🙂 Happy reading, Kelley! It’s really funny to be jealous of somebody’s commuting time!! But looking at your line-up, I’m jealous that I don’t have more time to read. I just finished Crossed by Ally Condie and am in the middle of Scorpio Races by Maggie Stiefvater. Next I’m going to dive into the Hush, Hush series by Becca Fitzpatrick. Happy reading!! Lol, Kitty! I loved The Scorpio Races 🙂 I have not read Crossed yet…how was it? Have fun reading THE HUNGER GAMES! You’ll finish it in a day and become obsessed with it just like I did! I am almost done with the first book and it is GREAT! I wonder why I waited so long to read it!!!! These books look wonderful! I’ve been meaning to start The Hunger Games and Cinder but I have another stack of books to read in the meantime. Have fun! And I’m not normally a historical fiction girl, but Le Testament D´Olympe looks interesting as well. Great picks! You’ve got some great books on January’s list! I’m currently finishing SHIP BREAKER, which is fantastic. Next up (I think) is CINDER or possibly A MILLION SUNS. Or maybe CATCHING JORDAN or THE STATISTICAL PROBABILITY OF LOVE AT FIRST SIGHT? Oh my gosh… how to choose?! Just read Hunger Games myself, so you’re not the only slacker! Too many books, not enough time. I loved it – but now I am nervous, I’ve heard rumors the sequels aren’t as good. Still hopeful.